The long-feared radiation from the Fukushima disaster in Japan has made its way to the western shores of Alaska, Canada, and the United States. It is in evidence by the the diminished numbers of sea creatures and the maiming of the ones still alive. Scientific studies have tracked the demise of these unfortunate creatures. For example, there reports of polar bears, walruses and seals suffering from fur loss caused by open sores. On the coastline of California, it as been observed that 45% of sea lion pups died this year, whereas normally only 33% die during a typical year. It was reported on ABC News that there exists the possibility that the west coast of the U.S. might need to be evacuated due to the high level of radiation washing in from Fukushima. Prevention is the best way to protect yourself against radiation, and avoiding eating seafood from the Pacific Ocean is a start. Along the Alaskan coast, seals, polar bears, and walruses are suffering from fur loss and open sores. Nine polar bears were spotted that had these problems among 33 bears near Barrow, Alaska. On both the Canadian and Alaskan coastlines, there is a historic low of sockeye salmon, and many are seen to be bleeding from their gills, eyeballs, and bellies. In California, it has been discovered that all bluefin tuna, out of a sample of 15, were contaminated with radiation from Fukushima. Fish samples taken in Canada have found very high levels of radiation in sea bass; one sample contained 1000 becquerels per kilogram. People eating such fish are far more likely to develop cancer. 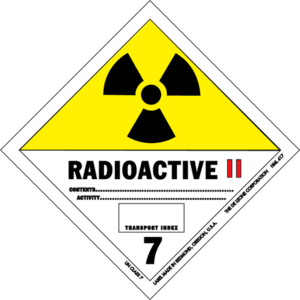 Although iodine and cesium are found in our bodies, the radioactive forms are most dangerous. They continually emit microscopic “bullets” that damage surrounding tissue and lead to cancer. Iodine-131, if ingested into the thyroid, emits radioactive beta particles (electrons) that damage surrounding tissues. It is not desirable to chelate iodine out of the body as it is an essential mineral, so another strategy is required. If the body is saturated with non-radioactive iodine, then the radioactive iodine will not lodge in the body and will instead be eliminated in the urine. Our bodies are saturated with iodine when the total amount accumulated is 1500 mg. To achieve saturation, this would require approximately 17 mg/day for 90 days. Radiation pills in the form of potassium iodide are routinely dispensed to minimize the uptake of the radioactive form of iodine. Out of the Box Remedies offers Hormone Catalyst, a form of iodine that can be ingested orally and performs the same task as radiation pills. The radioactive waste that can enter your body via contaminated food is not completely eliminated from the body. For example, Strontium-90 may replace calcium in the bones, causing continuous damage to surrounding tissue due to radiation. Cesium-137 tends to accumulate in muscle tissue. Chelation is a process by which harmful radiation waste can be eliminated from the body. Chelates are those compounds comprised of metallic and non-metallic ions. Thus, the chelator contains non-metallic ions that attach themselves to metallic ions, and are then carted out of the body. Out of the Box Remedies offers a chelator called Radiation Protection Formula that contains two highly effective, proven oral chelators: chlorella and cilantro. Knowledgeable dentists who remove root canals routinely instruct their patients to take chlorella to remove the toxic mercury contained in silver-mercury amalgams. The Radiation Protection Formula protects one from the damaging effects of cesium-137 and strontium-90. It is recommended that the Radiation Protection Formula be taken 8 hours after taking Hormone Catalyst (internal iodine). Hormone Catalyst is best taken in the morning with breakfast. Tritium, the radioactive form of hydrogen, can be relatively easily removed from the body by drinking large quantities of liquids. Fortunately, tritiated water is not retained by the body. Half of water contaminated with tritium can be eliminated in 10 days or less. This entry was posted in Health and tagged Fukushima, Fukushima Daiichi nuclear disaster, Hormone Catalyst, iodine, Iodine-131, Pacific Ocean, Radiation protection, Radiation Protection Formula. Bookmark the permalink.